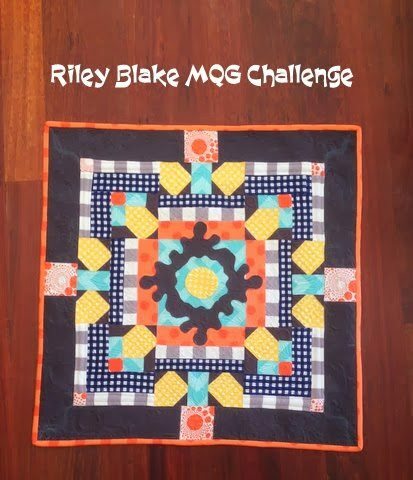 Challenge : Make a 24″ finished mini quilt from 6 F8’s from the Riley Blake Basic Collection. Design : DAYG ( design as you go ) . Affectionally named, ‘Splat’. 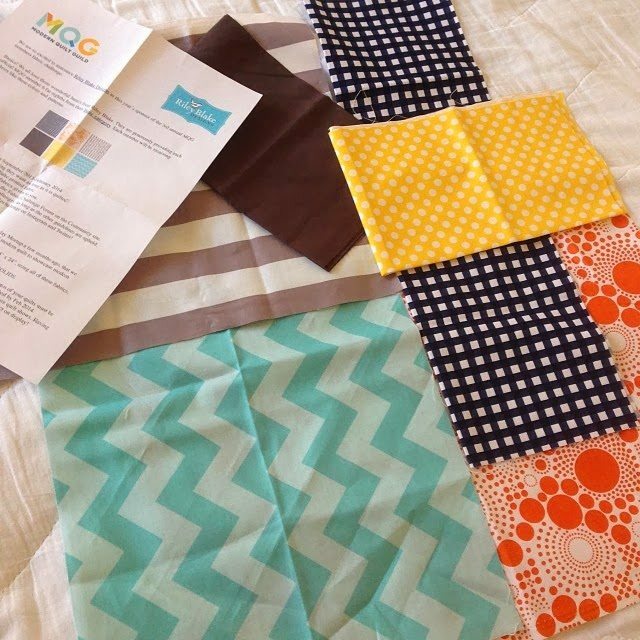 Fabrics : Basic Collections – Aqua Chevron, White / Yellow Dot, Grey Stripe and Dark Blue Gingham, Orange Pop and charcoal Solid. Extra Fabric : Riley Blake Orange Dot on orange. 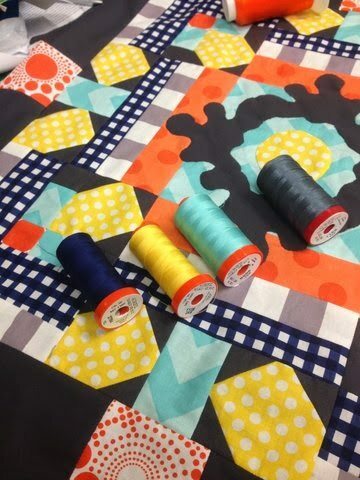 Threads : Piecing Aurifil 2620 Grey 50wt, quilting – 2024 white 50wt, 1135 yellow 50wt, 5006 Aqua 50wt, 2784 dark blue 50wt, 1158 28wt denim grey. Superior art studio 40wt poly toucan orange 203. The back. Random free hand quilting designs. Very nice. I still have not figured out what I want to do. Beautiful work. 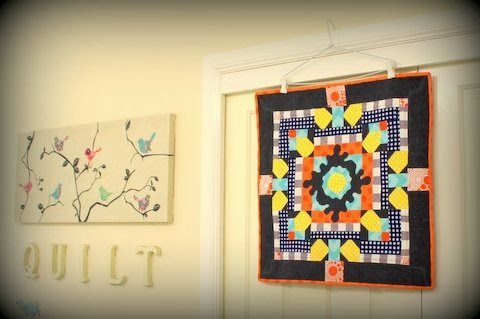 Love the quilting especially. The back is another wonderful 'front'!! With a back that beautiful it should really hang in a window. Great name. It really is wonderful. A job well done! Stunning Jane! So, did you hand quilt it? 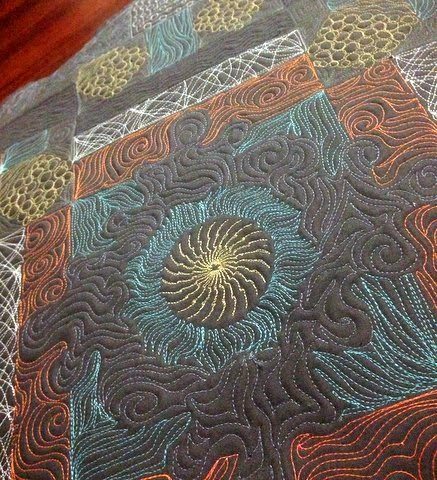 The quilting is so perfectly done! This looks like a fun project. I love how it turned out.